1. Dung beetles are found all over the world on all continents, save for Antarctica, surviving in various climates and habitats. Expats can also be found thriving all over the world. 2. In ancient Egypt the scarab beetle (a type of dung beetle) was a symbol of transformation and renewal. With every international move the expat partner can and often does reinvent themselves, casting off by necessity aspects of their old life and replacing or enhancing them with new skills, habits and activities to survive in their new location. 3. Generally the male dung beetle rolls the dung ball and the female catches a ride or follows the dung ball. Does that sound familiar to any of you? This is similar to the concept of Trailing Spouses who follow their partner on assignment. 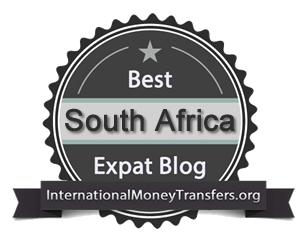 In the expat world the employed partner (often, but by far from always the husband) gets the ball rolling and the spouse jumps aboard or follows them. Two types of dung beetle busy at work. 4. Dung Beetles navigate by the stars at night. Seriously, how cool is that? They are the only insects to do so. Expats rely less on the stars and more on GPS/Sat Nav, maps and native wit, but in the past sailors most certainly did rely on the stars to circumnavigate the globe. Both the dung beetle and the expat are adept at finding their way. 6. Lastly and most importantly in comparing expat partners like myself to the awesome Dung Beetle you need to understand that the dung beetle is so named because it is stellar at sorting sh*t out. I wrote about mind boggling quantity of sh*t that they deal with in more detail in THIS post. We expat partners are equally well versed in the sorting out of all shades of sh*t. While our working partners “swan off” (okay, in reality they actually work really hard) to their air conditioned offices with native speaking staff who can handle their every query, we deal with language barriers, foreign bureaucracy and unfamiliar medical systems, people that think we are stupid foreigners, police roadblocks, alien foods that we must cajole our children to try, mysterious traffic rules and myriad school systems. 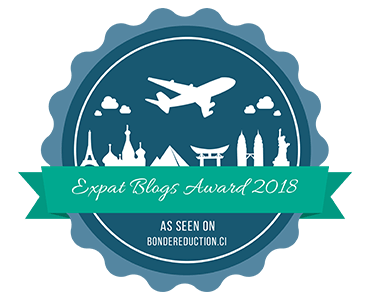 Basically, just like dung beetles we expat partners are completely awesome and essential to keeping the expat show on the road. You can read a brilliant example of the – in this case literal – sh*t that expat partners sometimes have to deal with in my friend Hannah’s post on her website Translating Me. Hannah had a truly madly deeply crappy week while her husband was far away. …and thus I shall leave you to mull and consider whether or not you like the dung beetle label? I previously compared expats to the more fragrant and visually appealing jacaranda trees, but I think I like the dung beetle analogy even better. Let me know if you have any others you’ve come up with. This is how we expat partners roll. I like your analogy! There’s definitely a lot to sort and carry. Thanks Amanda. Sorting and carrying – makes expat life sound very un-glam doesn’t it? I love that we are both now writing about crap 😉 great post – I adore those little Dung Beetles (in fact probably more than the leopard we saw) ! Hmm, yes, as expats we have to take the crappy lows with the heady highs. And the crappy lows can be really low, so we have to laugh about it. Glad to see you here! I was going to share this post with you thought it was absolutely fantastic comparison! P.s where did you see your Leopard? Lol. Excellent analogy. Saw myself in each one of those points. Thanks Silv. So far the response to the ‘global dung beetle’ has been all positive – perhaps I’m on to something.